Buy 1 for $40.90 ea. Buy 2 for $38.90 ea. Buy 3+ for $30.95 ea. Buy 1 for $30.95 ea. Buy 2 for $29.45 ea. Buy 3+ for $23.89 ea. The Frigidaire WF2CB PureSource2 replacement water and ice refrigerator filter delivers exceptional taste and fewer impurities. Designed for convenience and functionality with its one-touch front loading system that makes it easy to install and replace, the WF2CB allows you to enjoy crisp and refreshing water immediately. NSF testing show this filter reduces and/or removes cysts, lead, sediment, and pesticides among other impurities sometimes found in water. This filter also feature carbon filtration media that absorbs foul taste and odors. When water moves through the filter, chemical absorption neutralizes smells so the water being dispensed into your glass always tastes refreshing. 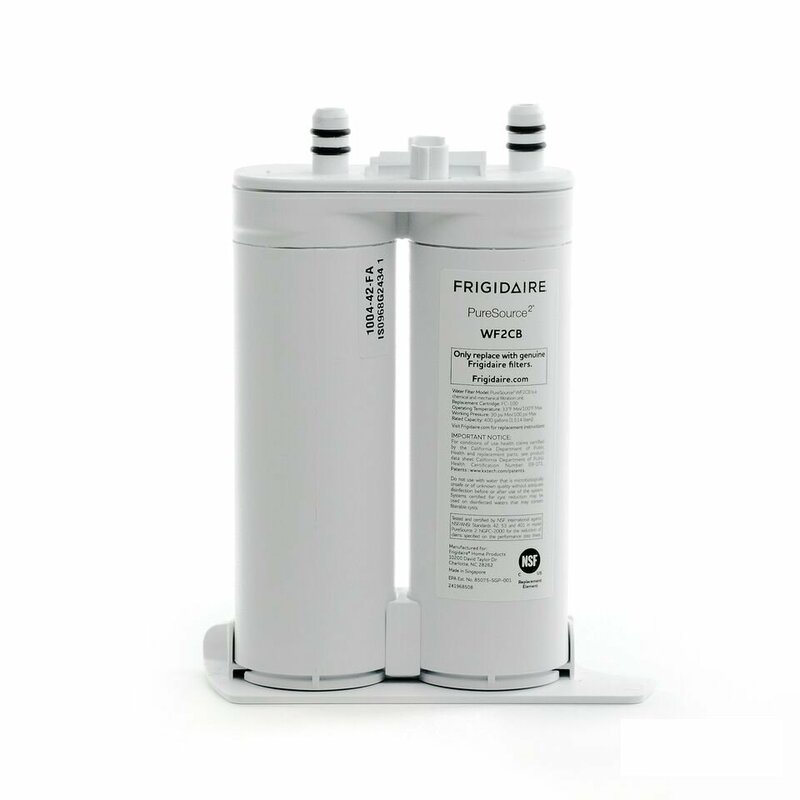 The Frigidaire WF2CB PureSource2 Water Filter - FC-100 is the replacement refrigerator filter for part numbers FC-100 or FC100 and SWF2CB, NGFC 2000, NGFC2000, NGFC-2000. 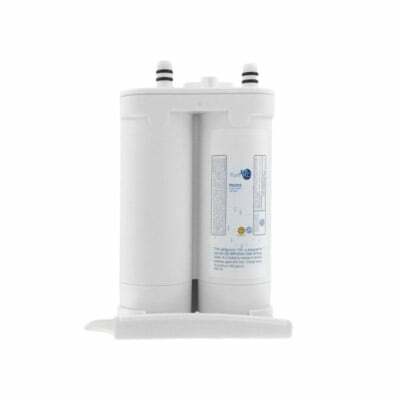 The PureSource2 filter is also the replacement for Kenmore water filter 9911, as well as part numbers 46-9911 and 9916 for Kenmore refrigerators manufactured by Frigidaire. This compatible FC100 filter fits all front cassette models of Frigidaire refrigerators. The PureH2O PH21610 is the compatible replacement refrigerator water filter for the Frigidaire WF2CB, EcoAqua EFF-6029A, and Water Sentinel WSF-7. The PH21610 features a high-grade coconut carbon filter media that is ideal for removing and/or reducing chlorine taste and odor, while it also works flawlessly to trap sediment such as dirt, sand, and rust. This workhorse of a water filter can also eliminate troublesome turbidity (cloudiness, haziness) from your refrigerator's water system. It is recommended that for optimal performance and efficiency, the PH21610 should be replaced every 6 months.